What is the Dynamo Academy Soccer Program? 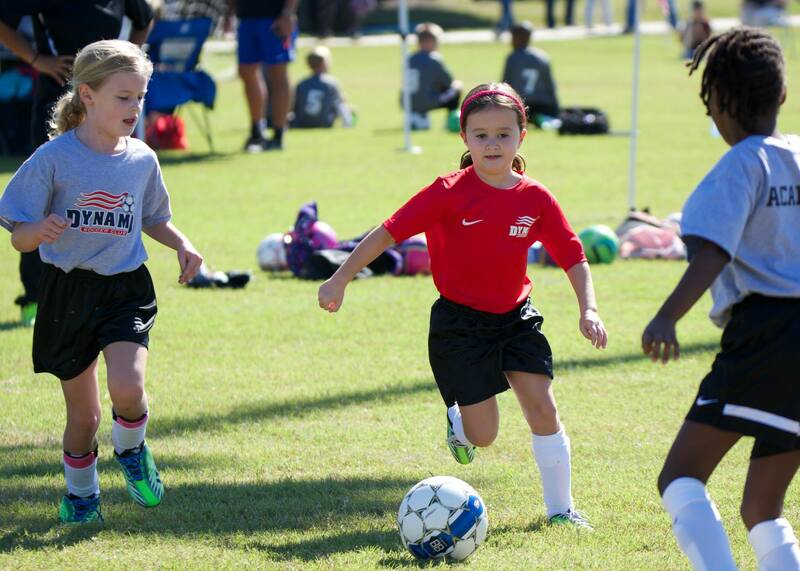 Our Academy program is designed for players aged 6, 7, and 8. These ages are fundamentally important in a soccer player's development of technical skills. This is a non-tryout program and is recommended for all players in the eligible age groups. With the knowledge and experience from our licensed coaches, Academy is an essential resource for the development of players who want to play more competitively. Think about it as a stepping stone from our recreation program into our travel program. 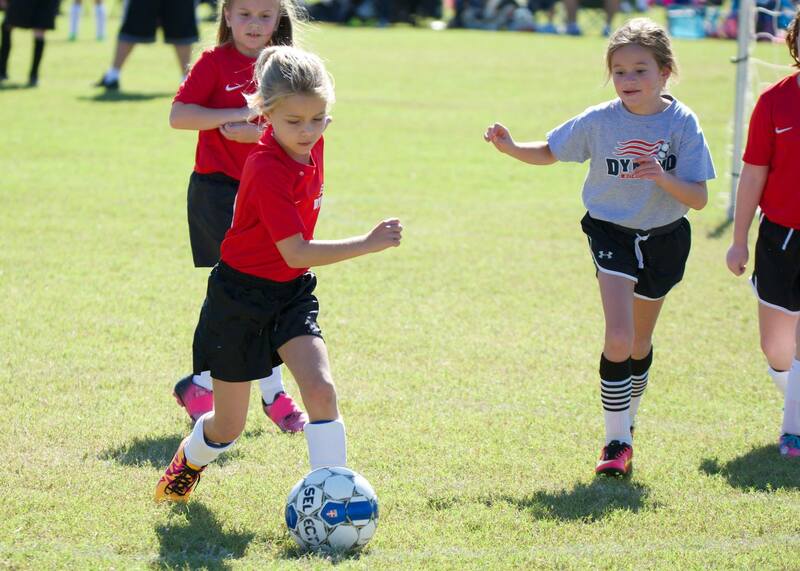 It is our mission at Dynamo Soccer Club to help your child to become a better player and better person. This is our Club philosophy. We are experienced in doing so with USSF and NSCAA approved teaching methods that allow for improved psychological, physical, technical, and tactical growth. Our age-appropriate training is always developmentally focused, meaning that Dynamo Academy Program does NOT focus on winning, the Dynamo Academy Program focuses on developing your child’s character and skills at their own developmental pace. We are dedicated to the development and preparation of players to express themselves in our Travel Program. Important information, and changes from our recreation program. We ask that you allow us to have your children for 2 hours a week uninterrupted so that we can teach them the necessary skills to become better players and people. We do not allow parents to sit or stand on the sidelines of practices. There is usually an area about 30 yards away or so where parents will group together and get to know each other. You will pick up on this after the first couple practices. If you or a family member is too close to the practice field, we will politely ask you to step away a bit to allow your child to function the best at practice. At the end of practice, we will walk all the players down towards the parents where you can pick them up and head home. We ask for your cooperation and understanding regarding this matter. This is part of the culture of soccer. As your child moves closer to travel this will become the norm. You show up wearing your practice shirt, then change into your game jersey before the game. 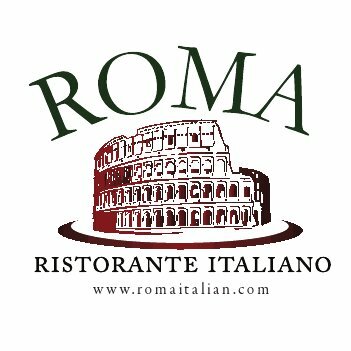 When Academy plays against another Academy team, one team will be wearing the red jersey and one team will be wearing the grey practice shirt as their jersey. It will be unknown until you arrive at the field which one your child will be wearing, so we ask that you please bring both. When Academy plays against a Recreation team, your child will be wearing the navy game jersey UNLESS the Recreation team you are playing is wearing a color too close to navy, and in that case, the Academy team will wear the grey practice shirts. We will take the first few practices to evaluate each player in order to create equal teams. You will be notified of the team your child is on sometime after the first few practices. We ask for your cooperation and understanding regarding this matter. Occasionally, we will train the entire pool of U7s or U8s instead of training several different U7 or U8 teams. Our goal is that each player knows every player and every coach. Players will be separated into groups after the first phase of practice. These groups may or may not be the “Team” they have been assigned to. Coaches may rotate as well, so you may have one coach on Monday and a different coach on Friday. This again ensures that all players are coached by every coach within that age group (pool). We ask for your cooperation and understanding regarding this matter. There is a chance the U9 program will have a game versus another soccer club, but please understand that it is difficult to schedule games with outside clubs at this age. When we do, sometimes they play by different rules. When we travel to play at their place, we will have to play by their rules. When they travel to play us at Pole Green Park, we will play by our rules. Each player’s registration fee includes 2 practice shirts, their jersey, and socks. Players will need to provide their own cleats, shinguards, and shorts. Dynamo Soccer Club has contracted a soccer vendor to sell player equipment at discounted prices! Email our Academy Program director Tommy Hagarty at tommy@dynamosc.com for more information.